Blog Post: Hugelkultur Update 1. Permaculture.co.uk "The Many Benefits of Hugelkultur"
Arrive: June 7 -- come having already eaten lunch! June 8 -- come having already eaten breakfast! Class ends around 6:00 PM. On-Site discussion of planning for swales, deer fencing, hedgerows, and more long term land considerations that inform the location of the hugelbeds we will build. Learning and singing songs together. Dinner provided for Saturday, June 7. Lunch provided for Sunday, June 8. Site has running water and bathrooms available. Bring comfortable work clothes and work gloves, if desired. Bring your camping gear if you're staying on the land. Bring your voices and your instruments! Bring your food for other meals (or food to contribute to collective meals). Bring a shovel, if you have one. Bring extra seeds of wildflowers, hardy perennial plants, etc. $30, paid in cash or check upon arrival, or we can send a PayPal invoice upon request. Contact us if cost is a barrier. No one turned away. 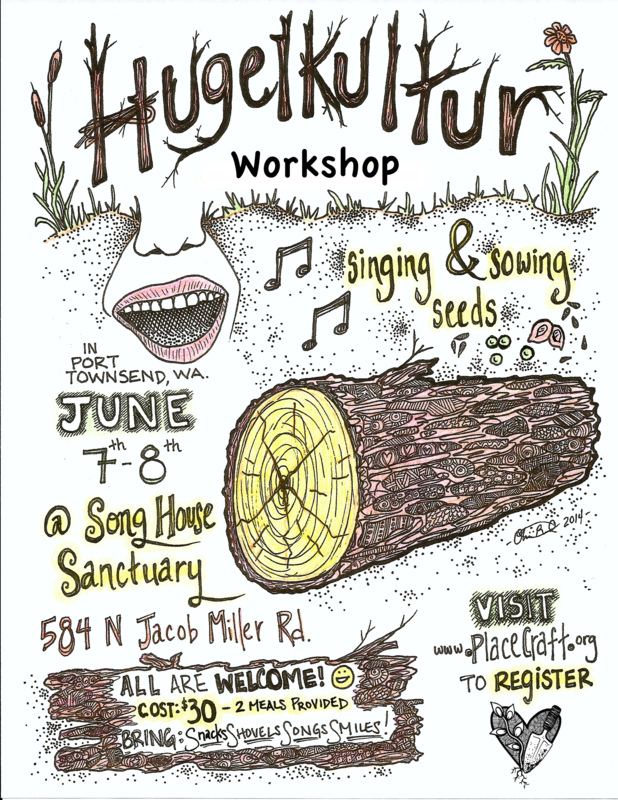 Feel free to call us at 530-238-5237 to Register instead of using the online form.